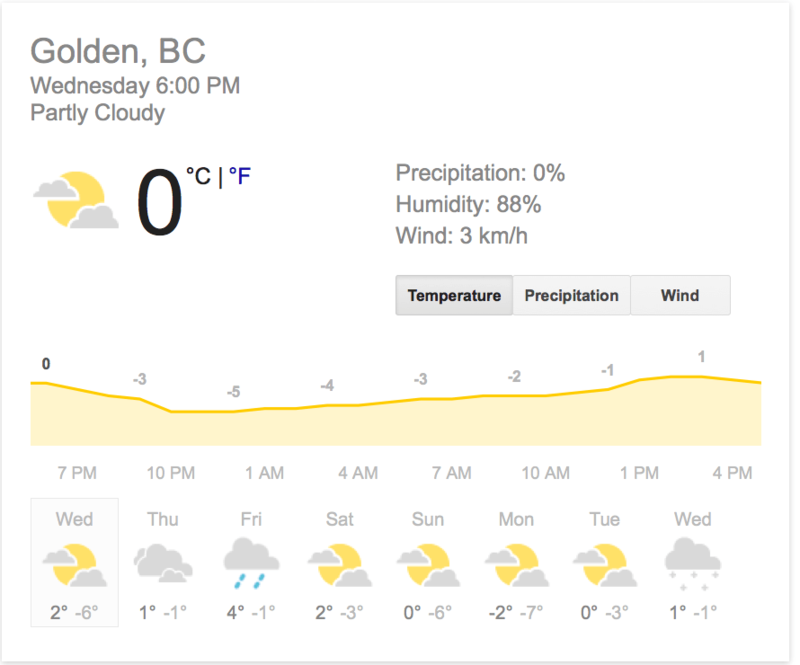 We saw the temps climb up towards zero this week, making it perfect snow for trail breaking into new zones. A small cold front will push in for the weekend and bring temps down to the -10 mark which should dry out the snow on the surface a bit; that means blower pow for everyone. Some new snow is forecasted and with the wind moving it around in the alpine, expect anywhere from 5-15cm of fresh. Wind in the alpine means windslabs so check out www.avalanche.ca for full details. 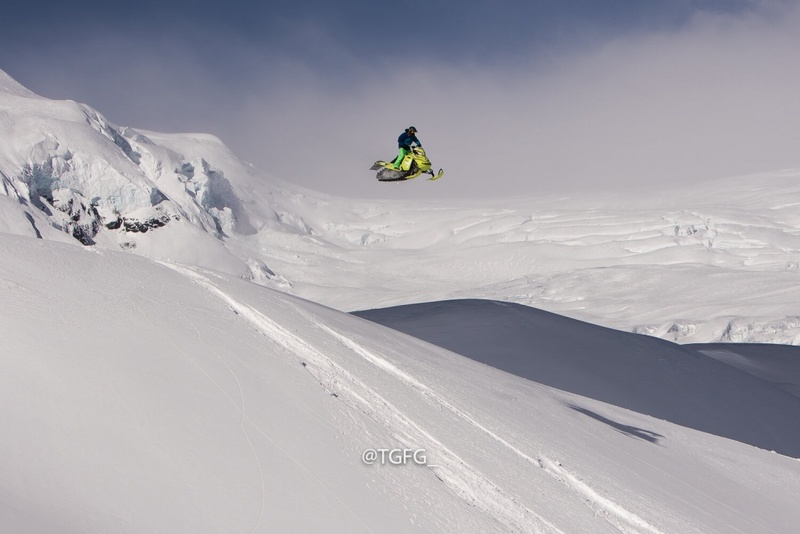 Shane Hansen flying high and landing hard! Groomed Jan 20th – first full drag of the whole trail. Fees are paid at Gorman and Quartz toll booths. We had both Susan Lake and the Blaeberry on the schedule this week, however, with the warm temps mid-week we chose to hold off until we know we can get a good trail set. Warm temps make a groom almost useless after only a few riders. We are monitoring this situation daily and will perform the grooms when we feel the timing is right. Be mindful of the border between Glacier National Park and Quartz Creek as it is illegal to ride in a National Park and the area is frequently patrolled by helicopter. Hefty fines can be issued to accompany an equally costly heli lift out of the park if you are caught. The boundaries are signed but grab a trail map if you are unsure; trail maps can be obtained at the Tourism Golden office downtown as well as at many of SledGoldenâ€™s sponsors. Both Silent Pass and Gorman have a border with an off limits park as well. The park wardens will be charging violators to the full extent. Sledding in the park will not be tolerated or taken lightly. Trail breaking into a new zone is not for everyone; itâ€™s a lot of work involving snowshoeâ€™s, shovels, and sweat. If early mornings are not on your list of things to do, it would be better to wait till spring when the days are longer because a day of exploring and trail breaking usually means getting up earlier than you usually would for work. 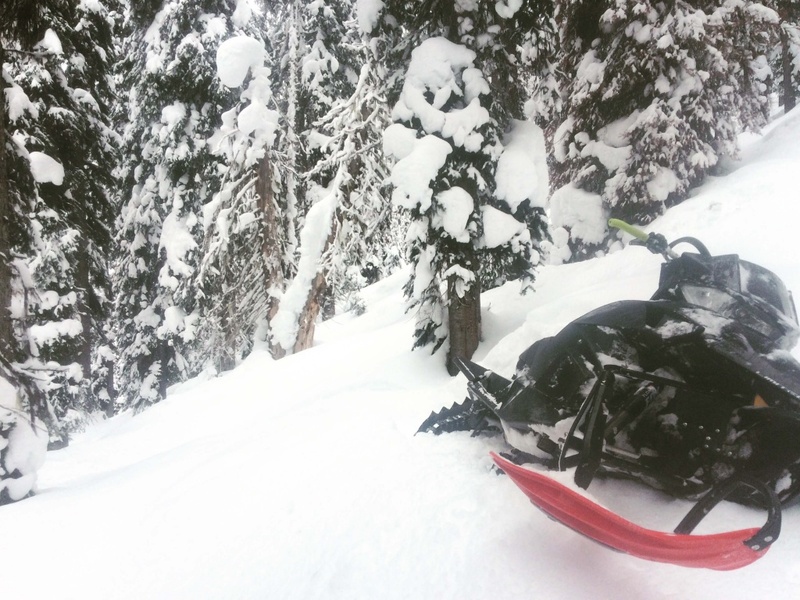 Those that are willing to put in the work are rewarded with fresh, untracked powder and bragging rights. Towing out your machine from a zone you found on google earth 75 km from the nearest highway with no groomed trail is something you should think about; keep in mind that a heli rescue may be required depending on how far back you are exploring or how late in the day it is. 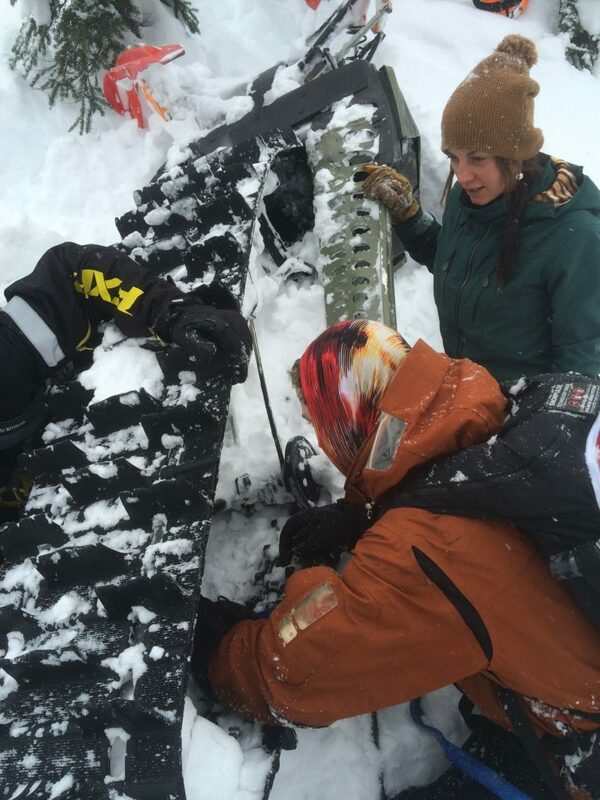 Ensuring your machine is running tip top is a must if you plan on pushing into the backcountry. Carry a couple extra spark plugs, check the deflection and condition on your belt, and make sure there are no big tears in the track. Check all the nuts and bolts in your rear suspension as the rear skid takes a beating; have a look for worn out bushings and grease and applicable areas. If you are better at riding your sled than working on it, Motortech in Golden has a crack team of highly qualified technicians ready to sort out your sledâ€™s mechanical problems. They are also the only authorized Ski Doo dealer in town with genuine Doo accessories and good stock on parts. 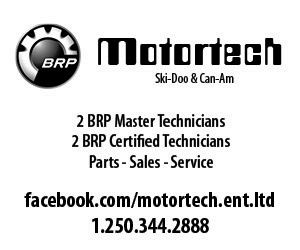 Motortech Enterprises: 934 10th Ave N, (250) 344-2888.